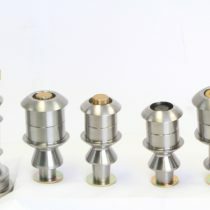 Our Factory 2.5 kit with DSC for the 01-10 Chevy/GMC 2500 HD’s takes our leveling kit to the next level. 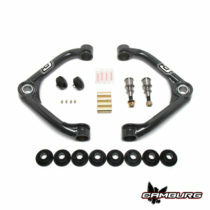 We utilize the same Camburg 1.25″ uniball upper arms but combine them with FOX 2.5 series with DSC front and rear shocks. 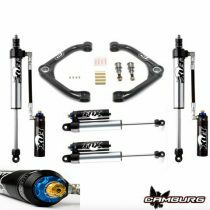 This combination of parts not only improves the ride and handling on-road but more so off-road with the larger diameter shocks and external reservoirs. 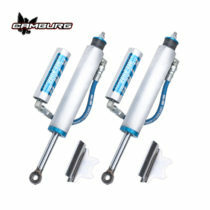 With the upper arms these shocks increase wheel travel and give you the ability to adjust the factory torsion keys to lift the front end all while improving the ride. Aftermarket torsion keys are not needed and are a waste of $$$. 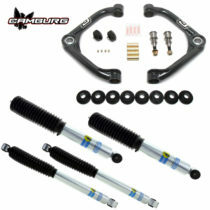 Our Performance 2.5 kit for the 01-10 Chevy/GMC 2500 HD’s takes our leveling kit to the next level. 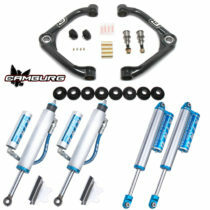 We utilize the same Camburg 1.25″ uniball upper arms but combine them with KING’s 2.5 series front and rear shocks. 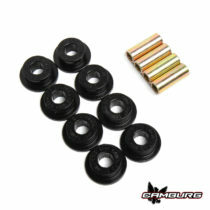 Our Performance 2.0 kit for the 01-10 Chevy/GMC 2500 HD’s takes our leveling kit to the next level. We utilize the same Camburg 1.25″ uniball upper arms but combine them with FOX’s 2.0 Performance Series front and rear shocks. 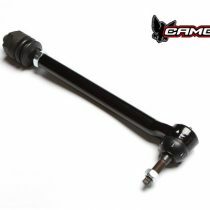 We replace the factory upper control arms and small weak ball-joints with a pair of 4130 chromoly custom tubular A-arms using 1.25″ uniballs to achieve maximum angles that result in more wheel travel over stock. Our arms are built from thick .188w” tubing unlike the competition. This in return will give a much better ride than any other kit on the market. 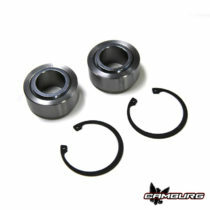 These arms also include urethane bushings and all hardware needed to install them. 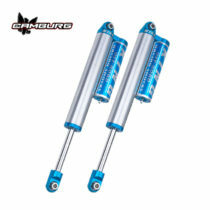 Also included in this new performance system is a pair of Bilstein 5100 Series shocks for the front and rear of the truck. This is a complete system that will add great off-road performance, added ground clearance, and lift to fit larger off-road tires.